The following are issues along the coast that affect sustainable tourism and our ability to operate in certain areas. Bluewater Adventures is committed to preserving and protecting the beautiful coastline that we all enjoy, but to do that we need your help in spreading the word. Educating people about the fragile ecosystems that exist on this coastline is imperative for its survival. Bluewater wants to provide all of our guests and supporters with some insight into various conservation issues that exist today in the Pacific Northwest. Check out all the videos, links and information that concerns the your trip destination! We encourage all of our guests to get informed and discuss some of these topics on your Bluewater Adventure. Randy Burke, owner of Bluewater Adventures, is the founding president of the Gwaii Haanas Tour Operators Association, which created one of the first 'codes of conduct' to guide operations in North America. Randy is also the founding director of the Commercial Bear Viewing Association of British Columbia - which has developed ethical bear viewing guidelines, standards for bear guides and offers annual guide bear training workshops. 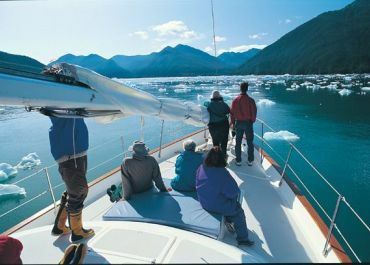 Bluewater Adventures has been a longtime supporter of conservation on the British Columbia Coast and Southeast Alaska. With more attention on the environment in recent years, more programs have been created to help businesses operate in a sustainable manner. 2013 saw many changes for Bluewater with new commitments, partnerships and the introduction of the Sustainability Fee. We have created a Sustainability Report, to be published annually, documenting how the fee was allocated. We want to share with our guests to how their contributions are making a difference. Skipper Otto’s Community Supported Fishery (CSF) creates a direct connection between local fishermen and consumers with the joint goal of protecting ocean resources and improving our local food system. The CSF model ensures that independent, small-scale harvesters can continue to fish using the low impact practices their parents and grandparents used before them and still remain in an industry that is rapidly becoming dominated by big business and aquaculture. CSF members buy in before the season and receive a share of premium, wild, local, and sustainably caught seafood. Members have boat-to-fork transparency, knowing how, when, where and who caught their fish. Purchasing directly from local fishing families meant that Bluewater cooks needed to be a little more flexible in their menu planning, as we could only purchase what was available to us. No problems here, the fish was fresh and delicious. We look forward to another great season with Skipper Otto's! Bluewater Adventures is excited to be a member of 1% for the Planet. By supporting environmental organizations along Canada's west coast, we are thrilled to contribute to making a difference. 1% for the Planet is Bluewater guests will know that 1% of their trip fees will go directly to preserving the very place they visit. As a guest on a Bluewater trip, we are all excited and fascinated by the bears we see feeding in the rivers, wandering the shores or playing with their cubs on a bank. We develop a respect for these iconic animals and are humbled by their genuine co-existence with nature. 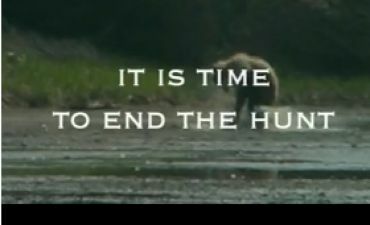 What most Bluewater guests do not realize is that each year hundreds of these animals are killed by Trophy Hunters. Those bears that you saw playing in a stream during your adventure may have already been killed by the time you returned home from your adventure. For 37 years the northern coastal waters of British Columbia have been protected from oil tanker traffic. This ban is now under threat. Plans to build pipelines and a supertanker port in BC to service the Alberta Tar Sands are moving forward with support from the BC and Canadian Governments. The giant oil company, Enbridge has applied to build a double pipeline from the oil sands of Alberta, through the mountains to Kitamat, at the head of Douglas Channel. If approved, it will mean tankers carrying oil or chemical condensate travelling through the midst of the Great Bear Rainforest almost every day. There is a long-standing moratorium on tankers along the inner BC coast, but it isn’t stopping government from supporting the planned pipeline. The Canadian tar sands project is already the largest green house gas emitter in the country. This campaign grew out of frustration – yours and mine - with our inability to get government to act to protect British Columbia’s wild salmon from devastation by industrial fish-farming. Wild salmon stocks are in exceptional decline wherever there are fish farms. We must – and we can – turn this tide. I’ve now studied the impact of fish farms in waters used by the Fraser River sockeye, Megin River chinook, Nimpkish River chum, south coast steelhead, coho and herring - and they are all swimming through a soup of sea lice and other farm waste. This is biological insanity. 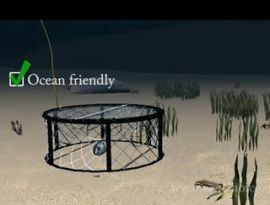 The problem is not farming fish; it’s where you put the cages. Tiny newborn wild salmon are not surviving contact with the pathogens generated by enormous marine feedlots on their migration routes.As many of you know, I applied for a permit this spring to medevac newly-hatched young wild salmon past the fish farms to safety. The permit was denied and the process served to highlight a deep flaw in the system: no government in Canada will take responsibility for fish farms and so the industry is out of control and people like us are going in circles trying to find who is in charge. March 2011- In a tremendous victory for our Alaskan rainforest, a federal judge in Alaska ruled in favour of protecting 9.5 million acres of roadless areas in the Tongass National Forest from harmful logging and roadbuilding. 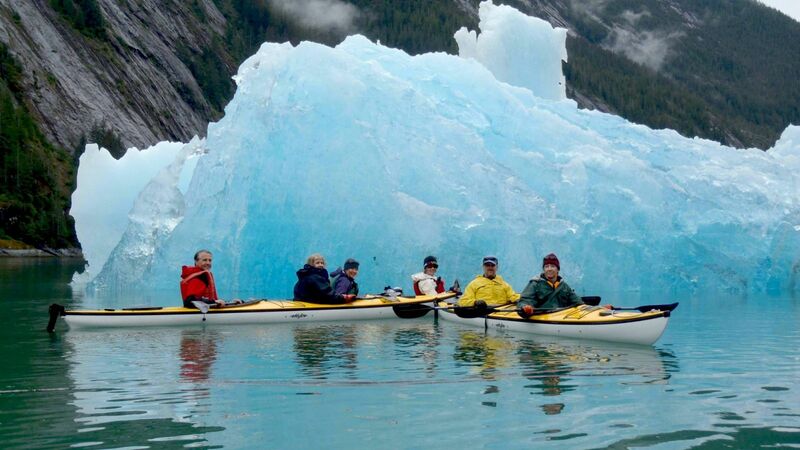 "The Southeast Alaska Conservation Council (SEACC) has worked in the region since 1970. As a coalition of 14 member groups in 12 communities, stretching along the coast from Ketchikan to Yakutat, our goal is to safeguard the integrity of Southeast Alaska’s unsurpassed natural environment, while supporting the sustainable use of our region’s natural resources. Together with our allies—local communities, commercial and sport fishermen, Alaska Natives, tourism and recreation business owners, small-scale high-value added wood product manufacturers, hunters and guides, and Americans from all walks of life—we’ve worked hard to protect important fish and wildlife habitat and reduce destructive clearcutting on the Tongass National Forest." "If you are one of the seven million Canadians who live along Canada’s coastline you already know the majesty of our great oceans. Or perhaps you are from another part of Canada and have visited our coasts and experienced the wonder of their spectacular marine life first-hand. And spectacular it is! Canada is home to the world’s longest coastline: three oceans and a sea of arctic ice supporting the largest web of marine life on earth. Given that 40 per cent of Canada’s jurisdictional area is ocean and that ocean-related activity accounts for more than $23 billion annually, the oceans deserve our attention. Canada has the longest coastline of any country in the world. In combination, the Pacific, Atlantic and Arctic Ocean environments within Canada’s exclusive economic zone support some of the most abundant and diverse webs of marine life on earth. But all is not well in Canada’s oceans. From sea to sea to sea, the effects of industrial fishing, pollution, and climate change combine into a suite of industrial impacts that pose constant and increasing threats to coastal and marine environments and wildlife. Canada's oceans are at a tipping point. We have already lost many fish stocks, marine mammals and other marine wildlife. 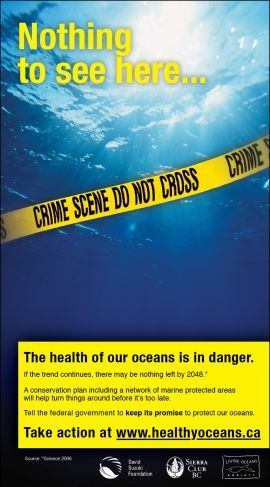 We still have time to reverse the damage, but we must make changes now to how we use our oceans." Scientists have discovered 9,000 year old glass sponge reefs off the British Columbia coast. Thought to have become extinct 145 million years ago at the end of the Jurassic period, these large, elaborate reef communities are the only specimens in the world. First discovered in the depths of Hecate Strait between the Queen Charlotte Islands and BC mainland, glass sponge reefs have now be found off the Gulf Islands in the Strait of Georgia. These reefs are extremely fragile, extracting silica dioxide from the water to form a delicate lattice of glass strands. The Hecate Strait reefs are estimated to extract the equivalent of 57,000 railcars of silica a year to grow. Many species of fish use the reefs and subsequently bottom trawling fisheries have already destroyed an estimated 50% of the reefs. In bottom trawling a heavy wire net is pulled along the bottom, scooping up all fish and unfortunately destroying not only thousands of “useless fish” but the glass sponge reefs. The Canadian Department of Fisheries has been very slow to act.